Inspired by rustic homes of early settlers, our Westland Large Display Cabinet features bracketed feet and a crown moulding. Design yours online today. 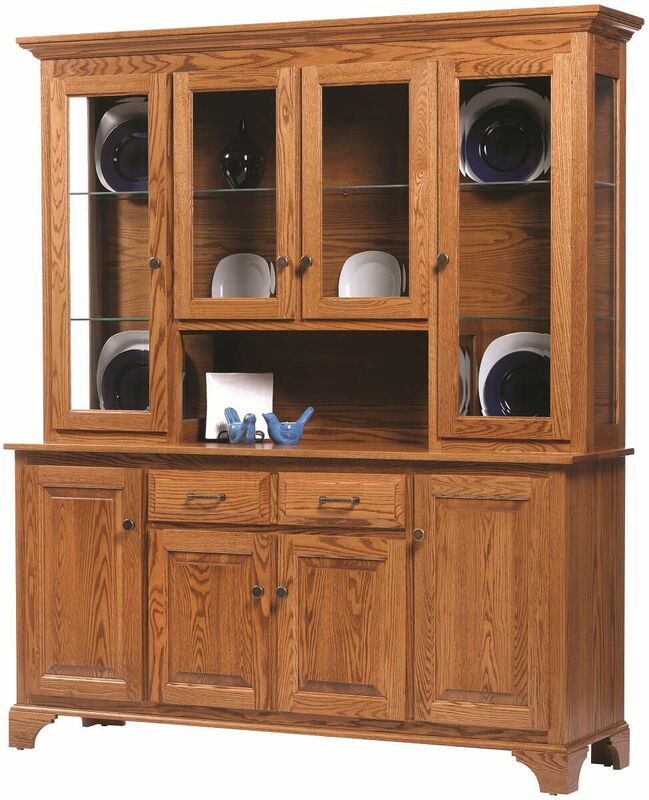 Our Westland Large Display Cabinet features the finest hardwoods and time-tested craftsmanship. With beveled glass doors, elegant plate grooved display shelves with recessed lighting, solid wood traditional raised panel doors, and hand-fitted trim, this 4-door hutch is built to stand the tests of time and use. Countryside is dedicated to providing you the finest in solid wood, handcrafted dining furniture direct from the heart of Amish country. Personalize a Westland Large Display Cabinet for your home by making your wood species, hardware, and wood finish selections.